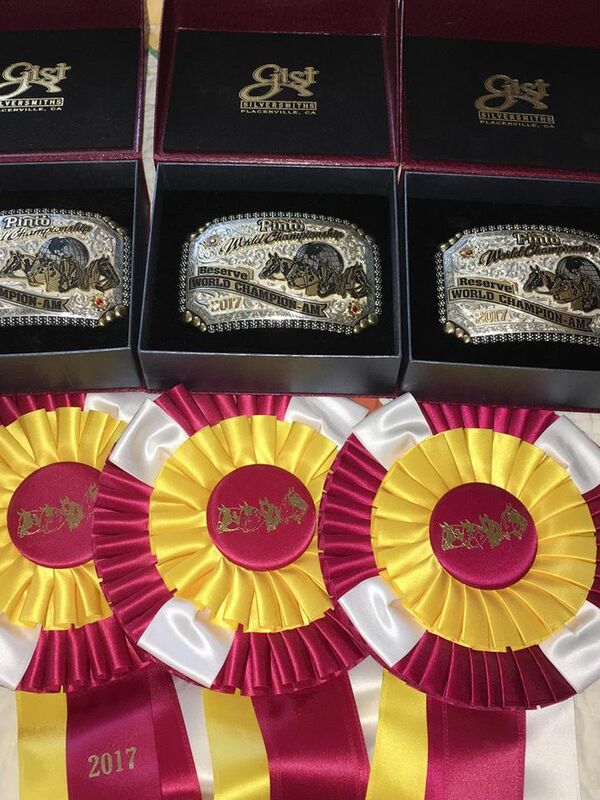 The world’s largest gathering of Pintos and one of the top horse shows for the Western seat occurred last month at the annual Pinto World Championship in Tulsa, Okla. And William Woods University equestrian students and professors brought home numerous wins. Maggie Mathews ’17 shows off her awards. 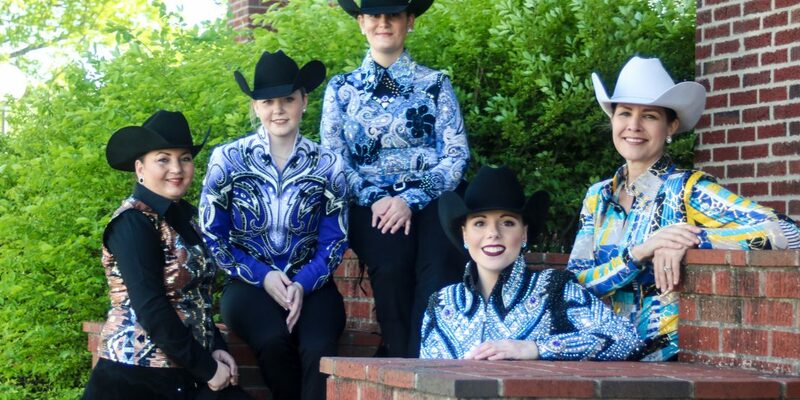 Three WWU western students, including Maggie Mathews ’17 (an Equestrian Science major from Wright City, Mo. ), Rachel Bradley ’16 (an Equine General Studies major from Filer, Idaho), and Whitney Joy ’17 (an Equine General Studies major from Hanover, MA), along with faculty Liz Haben and Jennifer Petterson, spent a month preparing for the two-week June show, drilling equitation, showmanship, and all of the various events that they would be showing. “The students worked extremely hard and I was thrilled by their success,” said Petterson, chair of the Equestrian Studies division. 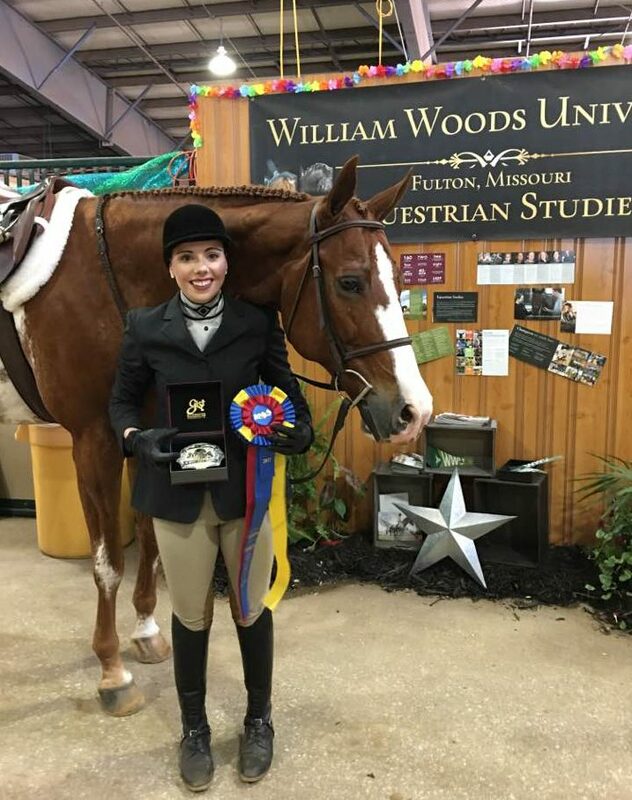 In addition to the group earning a number of top ten awards, Rachel Bradley and WV Kyss of Fame earned three Reserve World Championships (in English Showmanship, Trail, and Western Ideal), Assistant Professor Liz Haben earned a World Championship (in Open Pleasure Type Trail), and Maggie Mathews and WWU’s Naturally Fancy earned a World and Reserve World Championship (in Hunter Under Saddle and Amateur Ideal English, respectively) and the High Point Novice Amateur All Around Saddle. Attending these type of high-caliber horse shows is an important part of the William Woods equestrian training. In addition to preparing their horses for competition, students watch different classes, trainers, and riders, and discuss current trends, movement, judging, and different aspects of the industry. It makes for a win in and out of the arena.